Turkish director Nuri Bilge Ceylan has won the Palme d’Or at this year’s Cannes Film Festival for his film Winter Sleep. Timothy Spall was named best actor for his portrayal of the British artist JMW Turner in Mr. Turner. 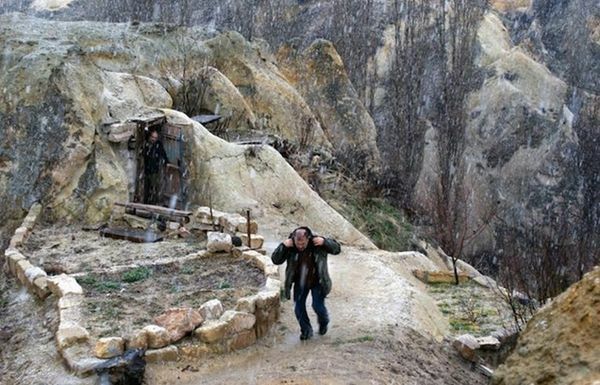 Winter Sleep, a domestic drama telling the story of a family running a hotel in the snowy Turkish mountains, beat 17 other contenders to the top prize. Nuri Bilge Ceylan dedicated the award to “the young people in Turkey and those who lost their lives in the last year”. Mr. Turner, directed by Mike Leigh, had been tipped for an award after being lauded by the critics at Cannes. Timothy Spall has said he was ideally cast to play the artist because “he was a funny-looking, fat little man and so am I”. The best actress award went to Julianne Moore in David Cronenberg’s Hollywood satire Maps to the Stars. Leviathan, a Russian film about corruption, was named best screenplay, while Bennett Miller won the award for best director for his wrestling drama Foxcatcher. Nuri Bilge Ceylan, who noted that his award came on the 100th anniversary of Turkish cinema, had previously won awards at Cannes for his films Uzak, Climates, Three Monkeys and Once Upon a Time in Anatolia. Winter Sleep, which runs for more than three hours, stars Haluk Bilginer as a wealthy retired actor living with his younger wife and his recently-divorced sister.